Rabbi Avraham Rubinstein’s route to the mayor’s office in Bnei Brak is paved with Torah and community work. 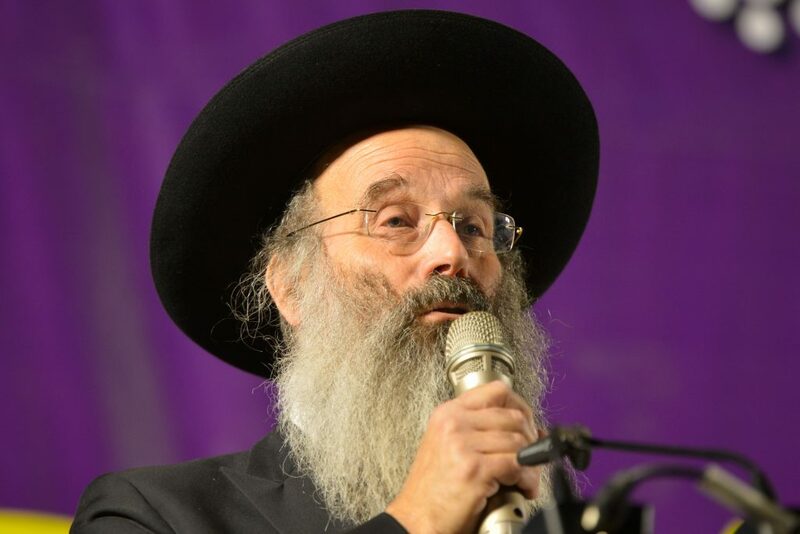 Born in Bnei Brak about 60 years ago, he learned in Yeshivos Ohr Yisrael and Ponevez, and, immediately after his marriage to a great-granddaughter of Harav Meir Karelitz, the brother of the Chazon Ish, in Kollel Chazon Ish. The combination of his organizational abilities and Torah knowledge made him a natural to fill the post of secretary of the Rabbinical Committee of Degel HaTorah, and later that of secretary of the Moetzes Gedolei HaTorah. At one point, he was the coordinator of the Toda’ah outreach program in Ramat Hasharon and Herzliyah. Hundreds of shiurim were started, and several well-known Rabbanim and Roshei Yeshivah began there as Maggidei Shiur. Twenty years ago, Rabbi Rubinstein was offered a seat on the Bnei Brak City Council, at the recommendation of his Rebbi, Hagaon Harav Chaim Kanievsky, shlita. He was summoned by Rabbi Mordechai Karelitz, who as head of the Degel HaTorah list, was the city’s new mayor. Rabbi Rubinstein decided to forgo the prestige and honor, and to take on the discounts post, one of the most complex and draining tasks in the municipal arena. “In this job, I was given the ability to help the residents of the city in an exceptional way, and to learn about the municipal workings on the highest level,” he says. “I walked through the corridors of city hall, running my soles to the ground. At the beginning, my pockets were full of little notes, and I didn’t have my own office. My office was on the benches in the corridors, and I went from the discounts room to the planning and construction room, and that’s how I spent days wandering around as a young city council member without any influence on how the city was being run. During these past 20 years, Rabbi Rubinstein has become identified more than anything with helping individual residents with their personal needs. The door to his office, which grew over the years, has become a locus for thousands of residents, who visit there regularly. It’s hard to find a Bnei Brak resident who hasn’t been in this office at least once and emerged with a big smile. But if you ask him, Rabbi Rubinstein will tell you that he did not see his destiny in the municipality at all. He established Beis Medrash Nachalas Moshe on Rav Meltzer Street in central Bnei Brak, and coordinated extensive Torah activities there round the clock. What made you decide to establish a kollel for Daf Yomi? “When the shul was active, and had dozens of mispallelim, I went to Harav Shach,” Rabbi Rubinstein relates. “We wanted to establish a Daf Yomi B’Iyun shiur, something that did not exist till then. I explained the idea behind the initiative, and Rav Shach was pleased, and tasked his close confidant, Harav Baruch Dov Sorotzkin, with carrying out the mission. Today, Rabbi Rubinstein’s kollel network has about 1,200 avreichim. From the first day the network was founded, Rabbi Rubinstein relates, he has had to raise the funds to support the kollel. As part of his activities, he travels abroad often, and although today he doesn’t formally manage the kollel’s finances, with a turnover of about NIS 15 million a year, he is the driving spirit behind this tremendous Torah center. How do you see yourself, more as a Rosh Kollel or as a mayor, or is there no contradiction between the two in a place like Bnei Brak?! And you are also the secretary of the Moetzes Gedolei HaTorah. How does Harav Chaim, shlita, perceive this job that you, his close confidant, holds? What does he see in it besides the fact that you are his personal representative? Indeed, in Rav Chaim’s home, Rabbi Rubinstein enjoys a favored status and closeness that only few merit. If we look at Bnei Brak, it stands out in the complexity of its management and in the denseness of the population. How do you plan to deal with the housing problems in the city? Is there where to expand? Up or out? “There is definitely room to expand. Regarding building up, there is a long-standing decision by city Rabbanim not to allow construction of more than six and a half stories so as not to require a Shabbos elevator. Harav Shmuel Wosner, zt”l, fought valiantly over this and all the Rabbanim joined him, led by Harav Nissim Karelitz. When they built the Ramat Elchanan neighborhood, there were buildings of four floors, and the Steipler Gaon was upset, saying that was too high. But with time, the demands have grown, so today the master plan permits construction of up to six and a half stories for residential buildings. “As we speak,” Rabbi Rubinstein adds, “hundreds of new housing units are being built in the northern part of the city, in the Pardes Katz and Kiryat Herzog neighborhoods. There are other projects within the city itself. Some of the shells are already standing, and within a year, people can move in. There is another large plan for 2,000 housing units across the Eim Hamoshavot road, which borders Bnei Brak and Petach Tikvah. It’s very expensive today to live in Bnei Brak. Who are you building for? Young couples? Mature families? “True, there is a very big price gap between Bnei Brak and other cities in the central region. Even now, anyone who can’t afford it will go live in Ashdod, Modiin Illit or other cities. One can certainly live in Afulah; I have a kollel there; there are schools, jobs, and anyone who wants can buy a secondhand apartment in Afulah for NIS 500,000 instead of NIS 1.5 million for an apartment in Bnei Brak. “But there are baruch Hashem enough people who want to live specifically in Bnei Brak and they have the NIS 1.5 million in one form or another. So we have to give them options. “Anyone who wants to live in Bnei Brak will live there, no matter what. When we market new apartments we also help bring down prices. What is your vision for rehabilitating the city, in addition to the housing plan? In addition to cleanliness, what else is there? “Transportation is a very serious problem in this crowded city. For years, it has been talked about, and there are future solutions. The mayors throughout the generations have had their input, such as building a central bus station at the entrance to the city, and other things, but these plans are at least five years in the future. Immediate plans can be implemented within a few months to improve the situation. There is a subject that has been a source of angst the past year in Bnei Brak, and that is the cameras that target people who park on certain streets and are then given steep fines. The business owners have taken this very hard. How do you deal with this? Closing stores early is also something that is attributed to you. How do you deal with employment? Is there a solution for all the people who live here? So you don’t take arnonah from them. You are making your city poor. In the last elections, the opposition in Bnei Brak grew, and it generated a lot of background noise. Things reached a peak when the second city council meeting erupted into chaos, and supporters of the Likud imploded the meeting. The opposition is making life difficult for you. “Indeed, we had a surprise at the city council meeting and were not ready for it, but from now on we will prepare for it. We work according to the law, and we have nothing to hide. There is oversight by the state comptroller, the regional district, and the district committee. Each authority has countless oversight measures, and we meet them all. Were you really afraid for your seat on the eve of elections, when you organized a huge rally in the streets of Bnei Brak? A word about the Shabbos desecration of Israel Rail on the outskirts of Bnei Brak, on the construction of the railway. Do you plan to take action on this issue? “I said at the first city council meeting that there are those who sent messages that a new mayor is coming and maybe he will get along with them, but they should know that it will be much harder for them with this new mayor. We are not going to concede anything; we will thwart their efforts. How do you see Bnei Brak in another decade?